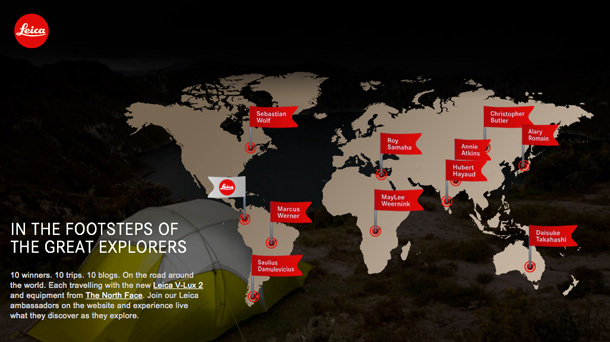 Leica Explorers set out in the footsteps of the great explorers. They will all bring a Leica V-LUX 2 digital compact camera and keep us up to date on their adventures with an exclusive travel diary of pictures and reports. 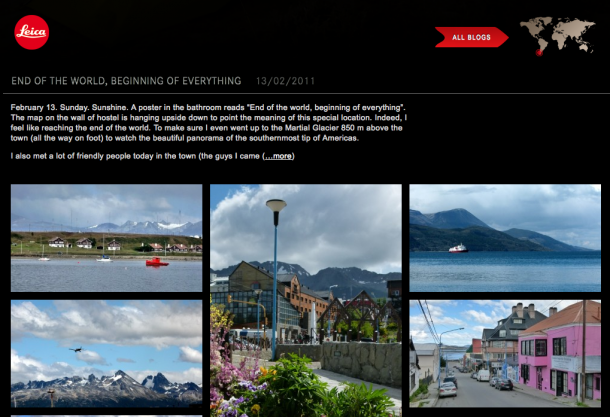 Marcus Werner from Berlin will be following in the footsteps of Ferdinand Magellan on his journey to South America. Sebastian Wolf from Magdeburg will be picking up the trail of Leif Eriksson in North America. In India, our Canadian explorer Hubert Hayaud and his partner Mayra Roffe will be taking the routes explored by Ibn Battuta. Lebanese explorer Roy Samaha is on the trail of James Bruce in Egypt. Daisuke Takahashi from Japan will be following James Cook’s route to Australia. American explorer Christopher Butler will be following Marco Polo on the way to China. Annie Atkins, our Irish explorer, will be traveling to Tibet to travel the routes of Nain Singh. 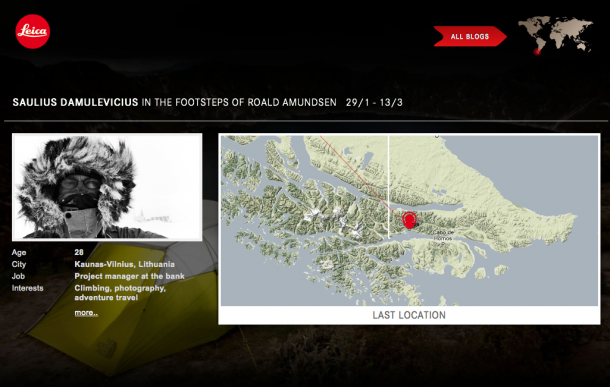 Saulius Damulevicius from Lithuania will follow Roald Amundsen to the Antarctic and French adventurer Alary Romain takes up the trail of William Adams in Japan. Our Dutch discoverer MayLee Weernik has already completed her adventurous journey. She explored the routes taken by David Livingston in Africa. Previous articleArt photography without tearing wallets open Next articleGreenhouse Sydney: could this be the greenest building on Earth?